The Granger Knives Hunter. 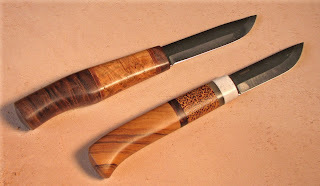 Lacewood handles and ATS-34 blade. Maker-made leather sheath.